The Prey intellectual property has seen its fair share of turbulence since its early beginnings as a 3D Realms project in the mid-90s. The original incarnation of Prey changed hands multiple times, being put on indefinite hold until 3D Realms revived it in the early 2000s. 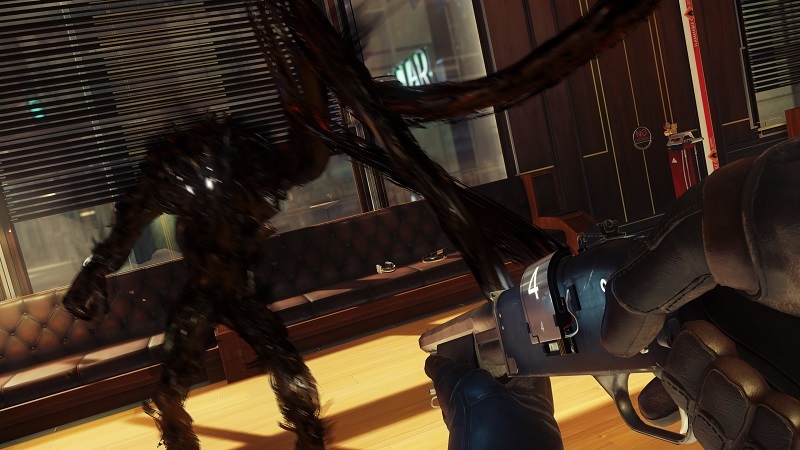 Prey released in 2006 — a decade after first revealed. Talk of a sequel with Prey 2 arrived shortly after release, and it would be nearly another decade before it was cancelled by publisher Bethesda. 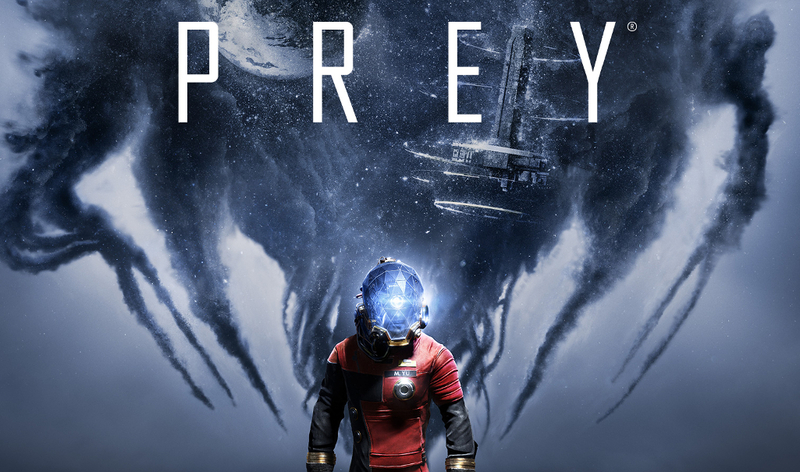 The fate of the Prey IP from then on would be a recurring PR headache for Bethesda and the at the time unannounced developer of the next Prey game, Arkane Studios, until the franchise’s reboot announcement at E3 2016. And that takes us to where we are today, with a hands-on look at Prey (2017). Phew. Since its reveal, most people have asked — and continue to ask — how Prey connects to previous entries (released or unreleased) in the franchise. Simply: it doesn’t. As Prey Creative Director Raphael Colantonio has stated in the past — and once more wearily during the press event I attended in Manhattan last week, the Prey IP was available, and they simply adopted its name because of thematic and mechanical similarities to the sci-fi shooter they pitched. Don’t expect any nods or references, either. Now that that’s out of the way, we can talk about what Prey is, not isn’t. Prey is a sci-fi adventure through and through. Its parts don’t scream originality, but as a whole, it delivers the sense of nostalgic familiarity that Bethesda has excelled at over the last few years with their reboots to classic FPS IPs — Doom and Wolfenstein for example. Once given direct control of protagonist Morgan Yu (playable as either as a male or female), Prey immediately clicked. Pulling from my experience with the Bioshock series and the first Dishonored, I knew exactly, and immediately, what type of game I was playing. If you’re a fan of either, you’ll adapt to Prey in seconds. 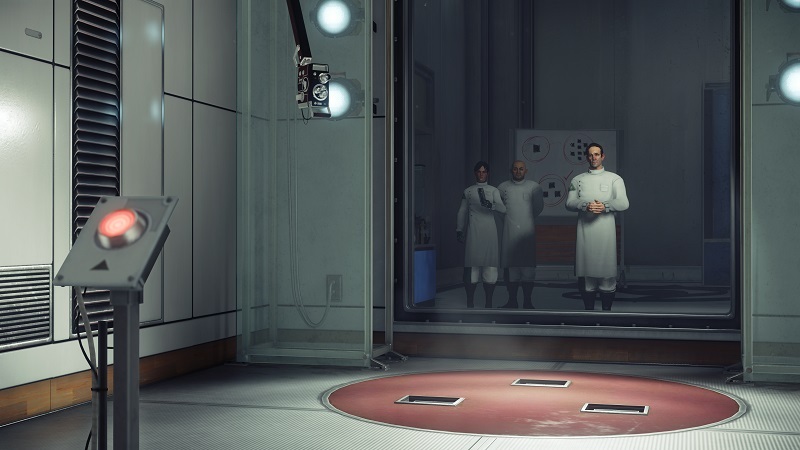 Prey takes place in an alternate timeline where the failed assassination of President John F. Kennedy led to a more aggressive race to space. In the process, humankind discovered a hostile alien species which they would later dub the Typhon. These ink-like creatures range from spider-esque mimics to humanoid monsters. Visually, they’re not all too interesting, but their animations are pretty impressive and creepy. Unlike the first Prey, which could be argued to be on the action horror side of the genre spectrum, don’t expect the newest game to deliver much on scares. Creative Director Raphael Colantonio made it clear that horror is not a focus in Arkane Studio’s Prey, but the situation is “horrific by nature.” No surprise here — we cover monster-fueled thrillers as well to keep us busy — but I wanted to check anyway. I was able to get him to divulge some details on a recurring threat in the full game, though, named Nightmare. Sadly, we didn’t see it. Story-wise, don’t expect body-horror themes despite Morgan’s alien-sourced abilities either. For this preview, we were allowed to start from the very beginning of the game to get introduced to the world and our protagonist Morgan. As mentioned earlier, players can choose the character’s gender, but differences will be minor to nonexistent in the story as Morgan is a silent avatar. I had hoped Morgan would have a personality after recently coming off of Arkane’s first Dishonored and feeling no attachment to Corvo. In my opinion, the game suffered narratively since the plot hinged on the fact that Corvo became “dishonored” because he stood silent when accused (and convicted) of a crime a few minutes into the game. These two games also share hastily paced introductions with poor setups. Prey’s opening minutes are captivating, but after a quick twist, you’re thrust into the core gameplay loop which involves smacking Typhon around with a wrench and all manner of odd weapons in an empty space station. The action just starts. 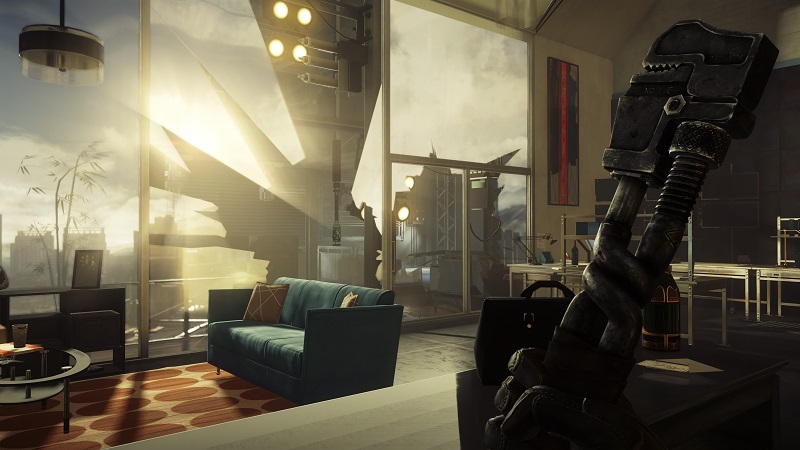 To test whether poor setup was a common thread among Arkane’s games, after my Prey preview I booted up Dishonored 2 for the first time and was left once again baffled. Both Dishonored games begin with an assertion made against main characters of significant royal standing. These statements are believed by everyone — including loyal subjects, and they quickly turn on these characters. All of this is done in such short time to launch the redemption aspect of both stories forward. It’s irksome, but not the end of the world. That said, Prey looks to follow in the first game’s (and influential “Shock” titles) footsteps by promoting puzzle gameplay throughout and not just shooty-killy gunplay. Weapons like the Gloo Gun have a dual purpose of dispatching foes and assisting with environmental puzzles/obstacles. As far as other toys go, the preview length sadly didn’t allow me to unlock the mimic ability, which lets players transform into objects such as cups and furniture. I wanted to be a mug, darn it. 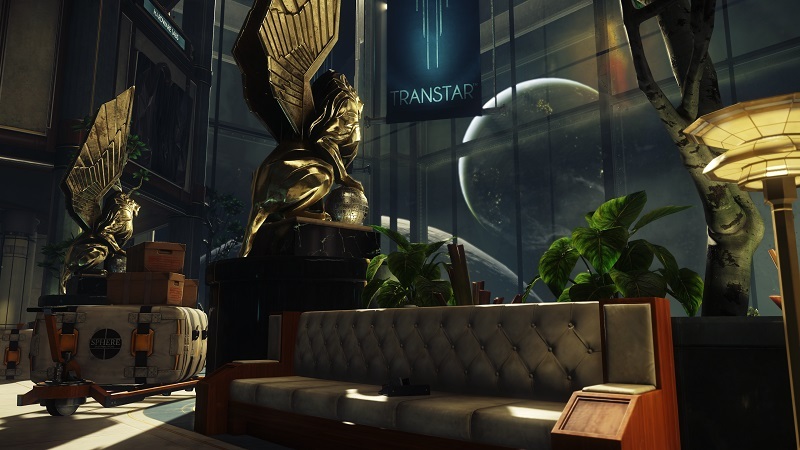 Like Dishonored, Prey’s sprawling environment is one made of alternate paths so the player can choose how to proceed to their objective. In one instance, I could either find the necessary keycard to unlock a door or search for out of sight passageways. Keycodes and other keycards could be found as well, ostensibly to unlock side missions and extra items. From just the first hour alone, there were hints of the scale of the Talos I space station — again invoking BioShock vibes. Prey lets players backtrack to previous areas with newfound abilities to confront past obstacles, an attractive mechanic for completionists. Arkane is going into Prey on PC knowing that they dropped the ball with Dishonored 2’s PC port. This time around, instead of using their specially designed Void engine (based on id Tech), they’ve opted for CryEngine. For the most part, the game ran pretty well up until I started to toy with in-game holographics, which essentially render an environment within an environment — you can see this in action in my playthrough video embedded above. I couldn’t confirm this with PR, but the demo PCs at the event had monitor toppers and banners advertising AMD’s new Vega GPUs. A quick peek at the graphics settings listed the game running on the High preset, but I’m not sure if it goes any higher. Aside from that, occasional audio hissing occurred throughout my demo, but with the whole capture card headset loop configured on the PC, I’m not sure if I can’t confidently say the game is at fault. I’m not sure what it is about CryEngine, but it lends itself really to vibrant art styled. Prey’s visuals are just shy of realistic, exaggerating character details and the color palette. Environment-wise, the game looks great, but as with all sci-fi games set upon space stations and the like, variety is a challenge that I hope to see Arkane overcome. I’m still on the fence whether or not I’ll be a fan of Prey. Arkane Studios make solid games, but their approach to storytelling doesn’t grasp me. Prey strikes the same chord with me as the first Dishonored — I can appreciate it, but I have little attachment to its characters or world. Prey explicitly invokes memories of many similar games, but that makes me anxious whether it will have a personality of its own. Granted, I’ve only played an hour, but this first impression has me cautious. Perhaps Prey’s largely unseen gameplay mechanics will completely win me over — I hope so. My concerns aside, Prey has the all of the makings of yet another hit from the house of Bethesda. I just hope I can come to appreciate it as much as I expect many others will.